Trunk locks are similar to your regular car door locks, but a mere similarity does not mean they are the same. On a surface level, drivers should aspire to maintain and care for their car trunk locks in the same way they care and repair car door locks. Doing so will help reduce the likelihood of hearing yourself say ‘my trunk won’t open’, and it will free you of the burden of trying to figure out what you have to do next. In truth, the next moves you can take are rather limited if you look at them broadly. For instance, you can decide to go ahead and tackle your trunk lock on your own, or you could defer to a professional auto locksmith to help you solve the problem. Essentially, the path to follow once you say ‘my trunk won’t open’ appears to be easy, but there are several factors that will influence your decision in some way. In order to make the most accurate decision, you have to do your best to inform yourself and understand the factors that come together to influence your course of action when you are locked out of your trunk. So you find yourself saying (probably yelling into the ether) ‘my trunk won’t open’, but what comes next? The good thing is that you at least found it pertinent to try and find a solution that would help rectify your problem so you are on the right track. I completely understand how frustrating it can be to deal with anything that is even remotely related to a car lockout, and unfortunately not being able to open your trunk falls in this terrain. Most people do not pay their car trunks and trunk locks any mind until they suddenly realize that they can no longer open it. In some cases, your trunk won’t open because you locked your keys in the trunk, or it could be because there is an issue that revolves around the actual trunk lock itself. Regardless of the reason behind the trunk lockout, the fact remains that you are unable to successfully access your trunk. Before I embark on the journey of showing you what to do when you are locked out of your trunk, I want to take a moment to shed light on some of the reasons why your trunk won’t open. Understanding this will drastically decrease the chances of something similar happening again. The first issue is very straightforward and it is one that most locksmiths deal with rather frequently. If you think you misread the subheading, I want to assure you that you did not. On occasion, some drivers make the mistake of locking their keys in their car trunk and this often renders them locked out of the entire vehicle. I must admit, it has happened to me before. Many are quick to dismiss this because they think they will never lock themselves out of their trunk by locking the keys in the trunk. Sadly enough, most people don’t believe in certain things until it happens to them. Honestly speaking, it only takes a split-second for you to lock your keys in the trunk and find yourself saying ‘my trunk won’t open’. There are some relatively easy solutions that can be explored to resolve this problem, but not all of them are guaranteed to work. I will explore these solutions a bit more below. In addition to locking your car keys in your trunk, you will find that your trunk won’t open if there is a problem with the lock itself. In most cases, that means the lock is broken or that there is some inherent fault that does not allow it to operate the way it was intended. This could be because the trunk latch, trunk lock, or other internal mechanisms responsible for the smooth operation of the lock, have now gone awry. For some vehicles, this could be the simple result of the lock being worn out, or it could be that the lock was damaged due to the application of external force. For many drivers, a broken trunk lock often goes hand in hand with a broken car key, or a car key extraction. 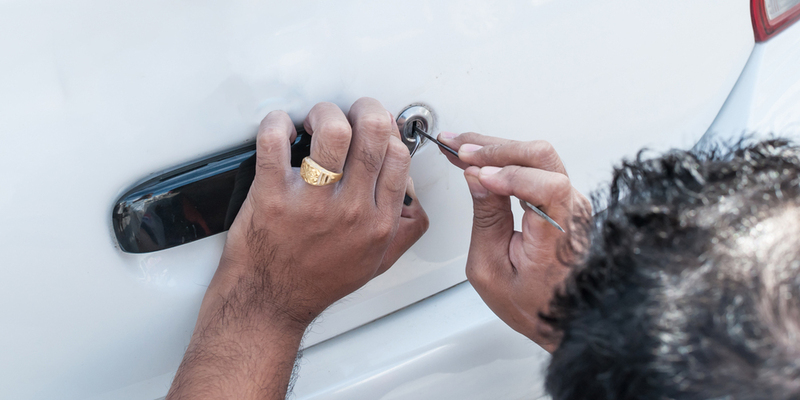 A car trunk lock can be damaged by applying excessive force to it, or it could be damaged simply because it has not been serviced in quite some time. Being aware of this might help many drivers as they continue to care for their vehicles. This is not usually an issue that drivers with older car models have to deal with because many of the older vehicle models do not utilize transponder keys. However, classical cars have their own security caveats to contend with. Essentially, a key fob is used to control specific remote actions on a vehicle. Pretty straightforward right? This fob is responsible for communicating with a designated vehicle and exchanging information and signals that equate to a certain action being carried out by a driver’s vehicle. For instance, pressing a button on your key fob could help unlock your car door or start the vehicle, and so on and so forth. However, if your key fob has not properly been programmed, there is a high possibility that you will not be able to open your trunk if you are attempting to do so. It also means that you will probably be stranded in a lockout if you do not have a mechanical key on hand to help you open your car and manually operate some of its functions. Programming means that your key has to be connected to your car in such a way that allows them to communicate with each other and execute specific actions for your vehicle. Furthermore, if the batteries in your key fob are dead, your vehicle will not be responsive to its commands. The reasons listed above are merely some of the ways you might find yourself saying ‘my trunk won’t open’, and as with anything else, there are likely to be other factors that might not allow you to open your car trunk. Let’s dive right into what you have to do once you realize your trunk won’t open. I completely understand the panic that might spread over you when you are trying to open your car trunk and you find that you are unable to do so. Which is why I know that asking you to check again will probably leave you confused, annoyed and in search of a more relevant and pertinent answer. However, there is nothing wrong with taking the time to check again. In fact, it might save you some time and money later on down the line. Often, most people overlook the simplest solution in their haste to achieve something, and I hope you learn from their mistakes. Before you get ahead of yourself, I would just like to admonish you that staying calm is imperative. Calmness is one of the only ways to successfully ensure that you are able to open your trunk without compromising the integrity of the trunk lock and your vehicle as well. Take the time to double-check your vehicle to verify that you have not overlooked anything. Try to open your car trunk again and see if you find it responsive. Ideally, you should attempt to open it manually by inserting your key, or by pressing the corresponding button on your car key fob. If the car trunk still appears to be locked, make sure you stay calm and continue on to the next step. The reason I asked you to check again is that most cars have multiple ways you can access the car trunk, and in their haste, most drivers forget this. Never neglect to double check your vehicle because there is always the chance that something could have been overlooked. This next point builds off the point above that challenged you to check again to make sure that your trunk won’t open. In this context, interior access simply refers to being able to access your trunk from inside your vehicle. I would like to point out that interior access is not a universal solution for all trunk locks, and it is not always guaranteed to work. I say this for two reasons. The first is that if your trunk lock is damaged in any way, you will still require the services of a locksmith even if you are able to get the trunk open. Secondly, not all vehicles are well suited to give you a means of interior access. I will explain this a bit more as we go along. For some vehicles, the interior of the car is not separated from the trunk, which means that all you will have to do is reach over the backseat to gain access to your trunk. Doing so may allow you to open up your trunk from the interior, but it will not necessarily solve the underlying issue that might have kept your trunk from opening in the first place. It is not a solution for a trunk lock that might be broken, so do not neglect to get your trunk lock looked at before anything else. Also, the easiest way to open your car trunk from inside the vehicle is to use the manual button that controls your trunk. However, if the trunk lock itself is damaged this will not work. If your trunk won’t open by means of the measures described above, you can try exploring some DIY solutions. Now, I am not against DIY solutions, but I do think that drivers have to be wary of them in some respect. I understand why they are alluring to so many people including homeowners who want to perform security upgrades, or in this case, a driver whose car trunk will not open. However, the thing about DIY solutions is that there are often costs hidden within the process that you will not become aware of until it is a little too late. For instance, the cost to repair or replace car locks is often influenced by the solution that you use to solve the problem. DIY solutions are often more costly, but not in a monetary sense. Drivers can choose to open their own vehicles when their trunk won’t open, especially if an alternative solution to your problem rests within the vehicle. For instance, if you have spare keys in your car that will help you unlock your trunk, you can attempt to break into it (if your car is locked) and then work to solve your problem. Also, drivers can attempt to pick their own trunk locks as a means of a DIY solution. To do so, you will need to have access to a full auto lock pick set (such as the NS multifunctional utility tool set). In addition to this, drivers can make use of some expert tools to get back into their vehicle as well, as long as the trunk lock is not damaged and no further work needs to be done. Also, drivers can make use of the materials that they have around them to fashion some quick DIY solutions. Not all of these DIY solutions are bound to work, so if you are in over your head, make sure you read the final point. If you continue to move forward with DIY solutions after being unsuccessful, you run the risk of damaging your vehicle further. Most people would like to refrain from calling a locksmith when they need the help, and I do not know if this is because they are too proud to ask for help, or because they have had bad customer service experiences with locksmiths in the past. Regardless of the reasoning behind this, you have to understand that if your car trunk is locked and your trunk won’t open, you will require the assistance of a locksmith at some point. Even if you utilize the solutions above, you should understand that some of them are only meant to give you temporary access to your trunk and not fix the root of the problem. For instance, if your trunk would not open because the trunk lock itself was damaged, being able to access the trunk from the interior will not solve the real issue at hand. Which is why you would still need to contact a locksmith to assist you. 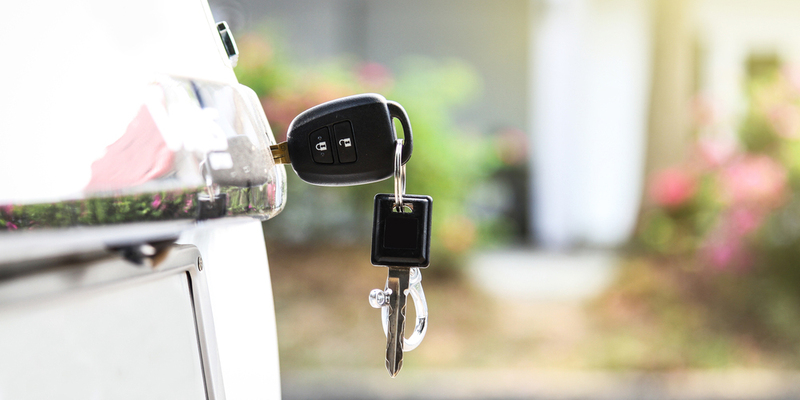 Auto locksmiths are trained and experienced when it comes to dealing with issues that revolve around cars and car lockouts, so their expertise should not be overlooked because of common misconceptions. Auto locksmiths deal with these situations on a daily basis, and as such, they will be much more adept at getting you back into your vehicle without damaging any of the vehicle’s components. It is important that when you contact the auto locksmith, you provide them with as much information as you can. There are several different car models, which implies that there is no blanket solution that is meant to cover any one of them. You should ensure that you convey the appropriate information about your vehicle so that the locksmith carries out their job in the right way. I hope that if you started this article off by saying ‘my trunk won’t open’ that you now have the adequate solutions to help you get back into your trunk. It is not necessarily going to to be an easy process, and there is a very high possibility that you will need some assistance one way or another. The most important thing here is that you keep a cool head, and try not to damage your vehicle further as you attempt to open up your trunk.